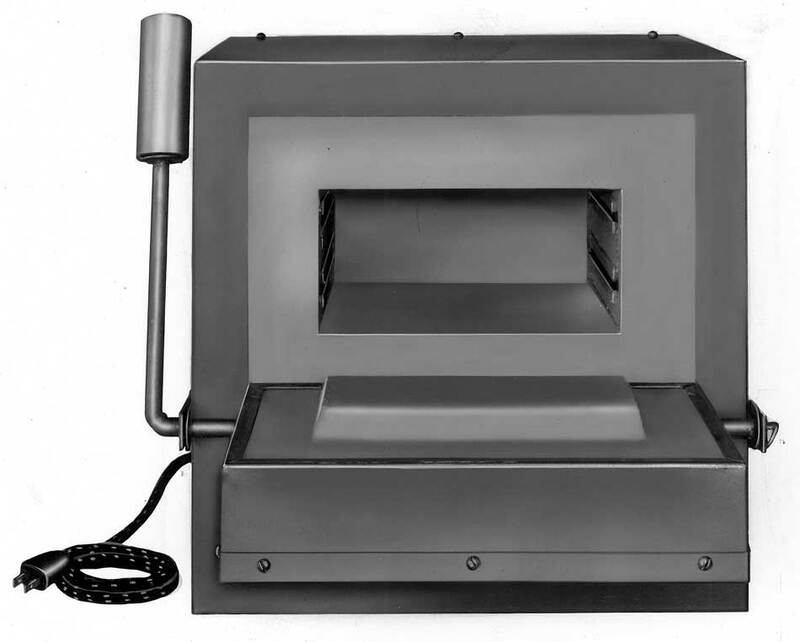 The E49 kiln was a small benchtop kiln used mostly for enameling. 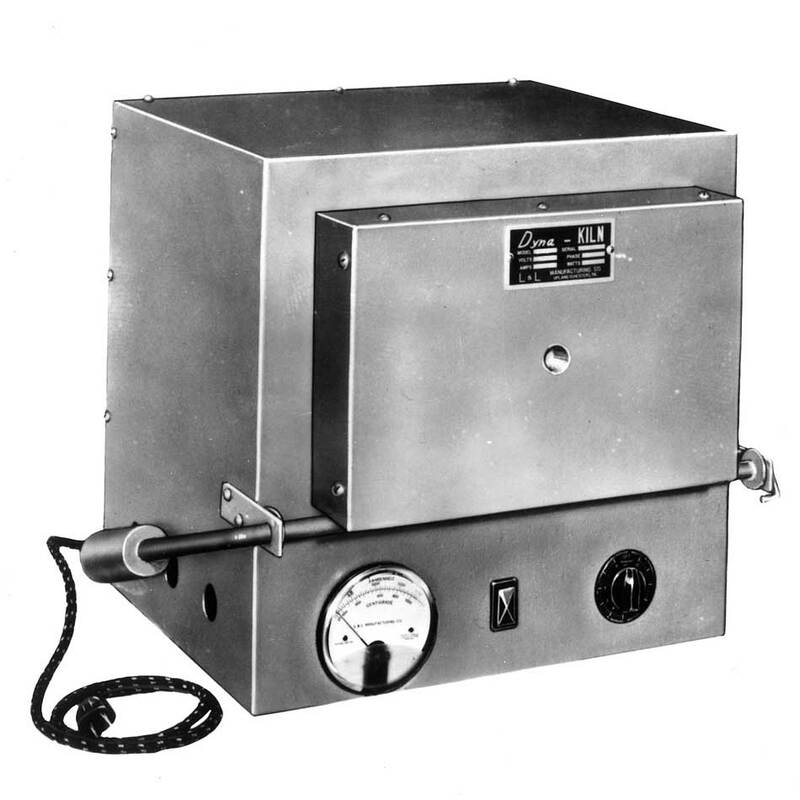 It had a pyrometer and an infinitely variable input switch mounted in the base. It was made by L&L Manufacturing Co., Inc.
E48 models did not have any controls at all. They were just plugged in to the wall and they would get hot. E49 models had a switch to control the temperature in the kiln. They were made with a couple different switches over the years but they all basically did the same thing; gave a little more control than the E48 had. Both had the option to be equipped with a pyrometer as well. Parts for the two, like elements, are not interchangeable. Both ran on 120 volts, you can plug it right into your house 120v outlet. Chances are the wires inside are very old and brittle/ hazardous. We usually recommend old kilns be re-wired, just as a matter of course, especially if the powercord is still the two-prong black and white checkered one. You can use E49 and R manual, but wherever it talks about turning up the heat, or adjusting temp slowly hotter over the firing etc, will not apply to you. Some replacement parts are available.